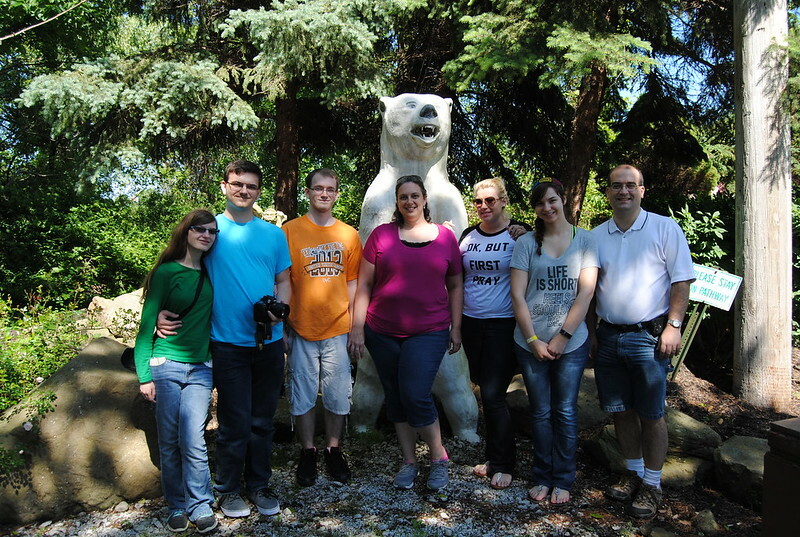 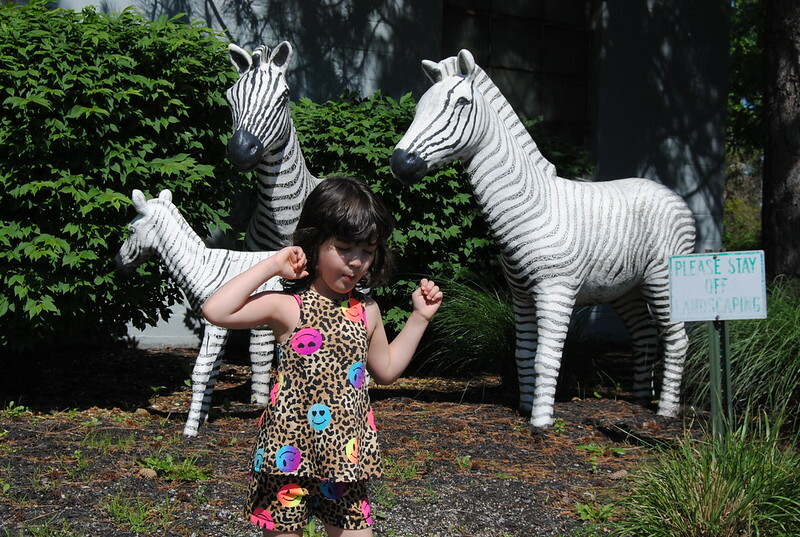 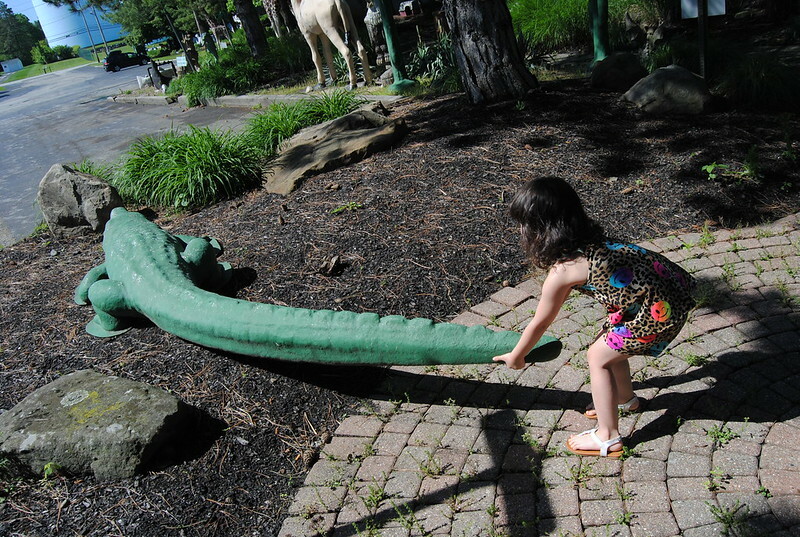 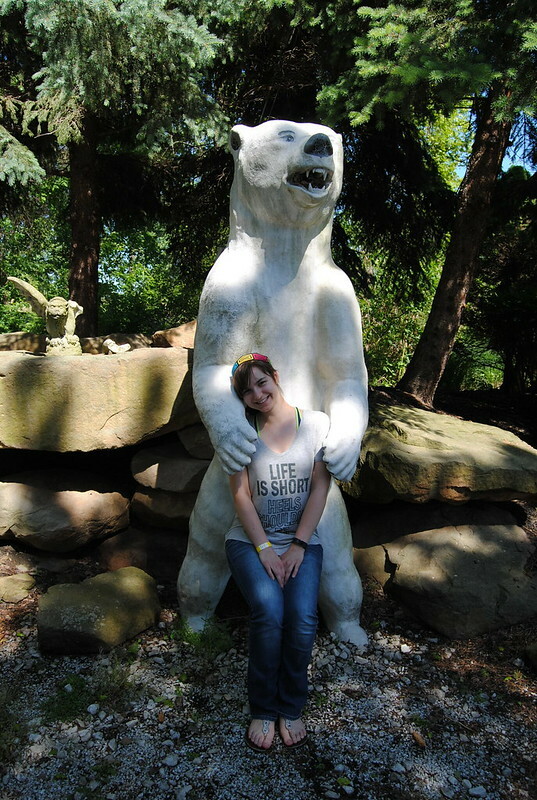 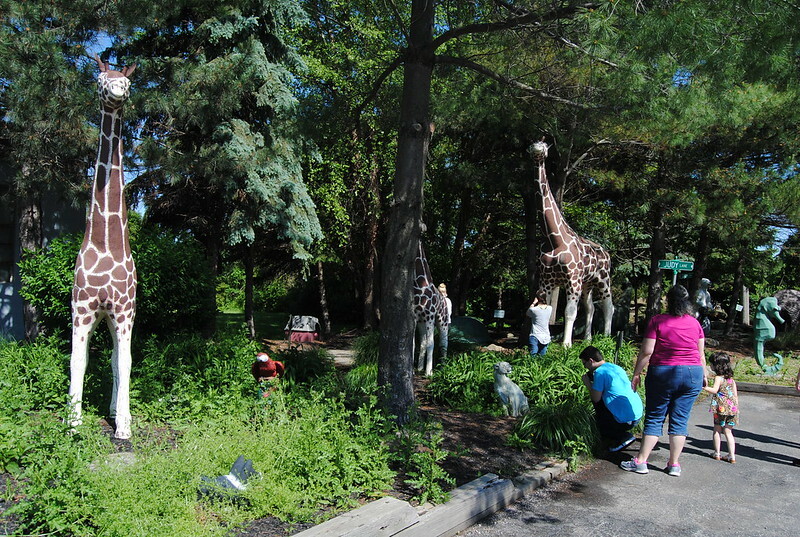 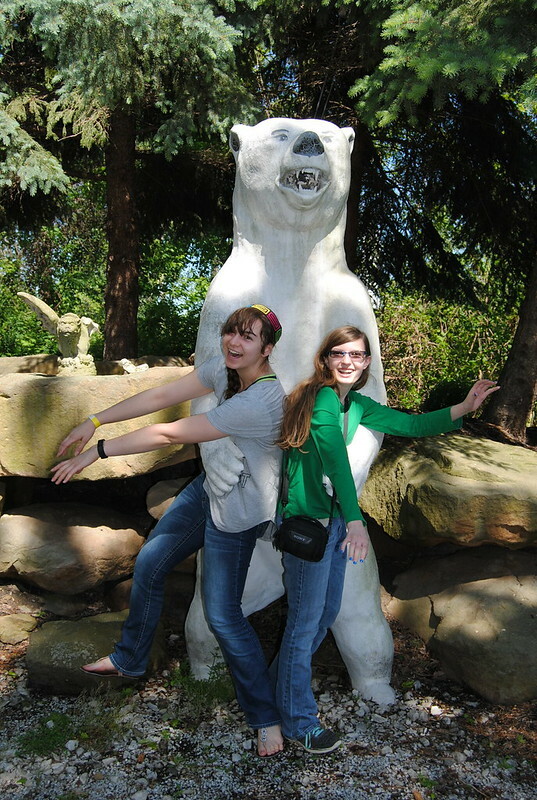 On Monday, May 29, we visited Judy's Jungle, near Mentor, Ohio. 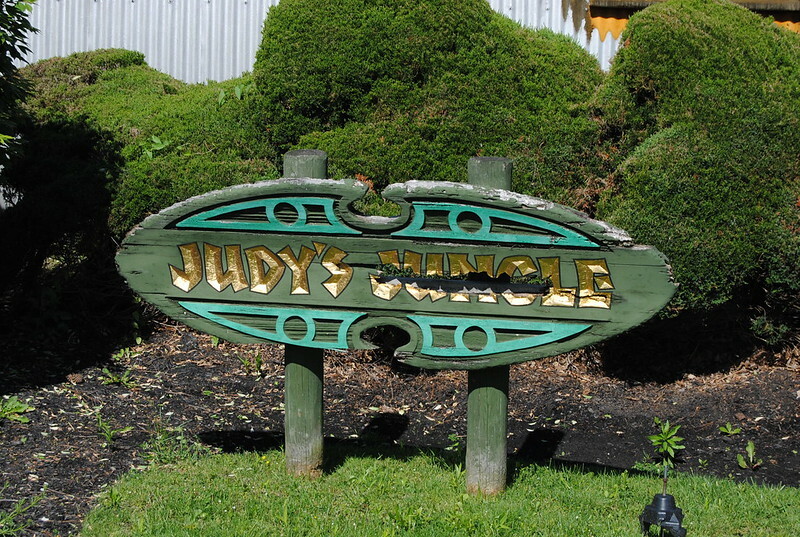 Judy's Jungle is located next to the parking lot for MT Heat Treat. 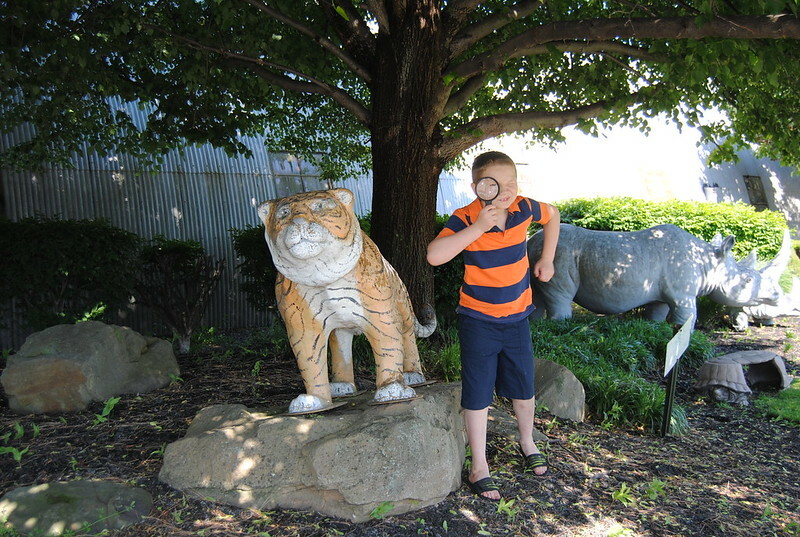 This young man identified himself as a "scientist detective" and wanted to talk with us about the animals. 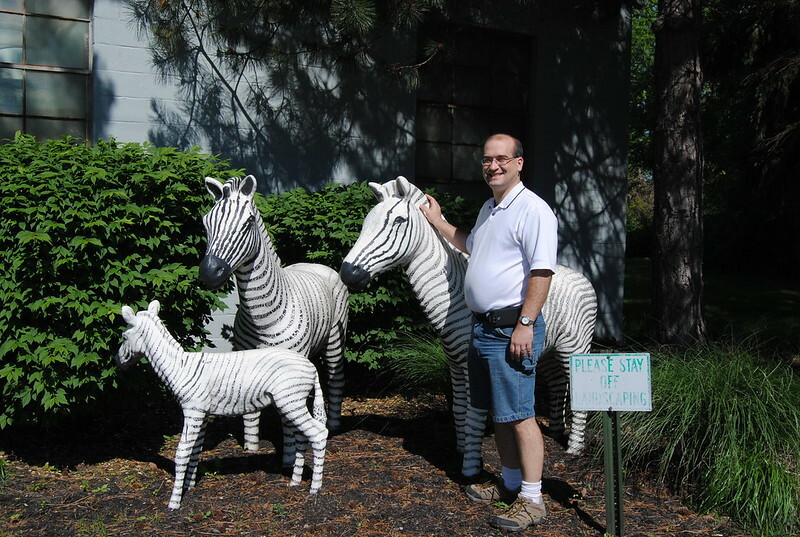 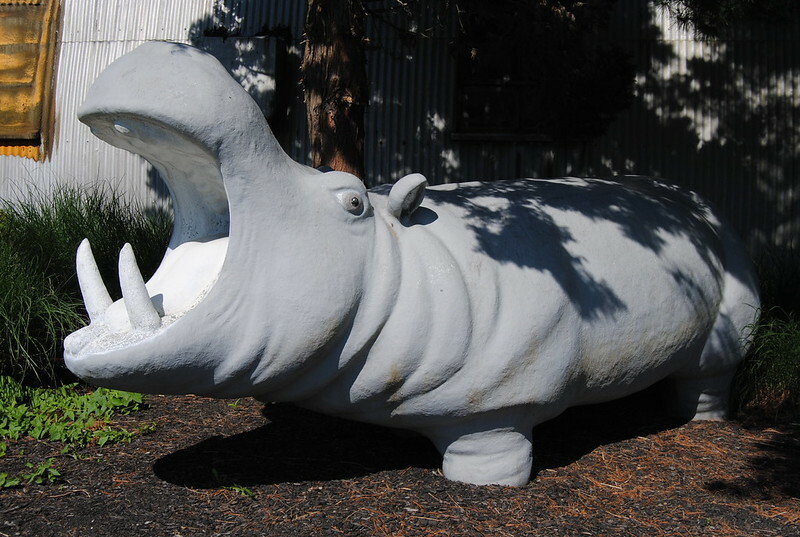 Apparently his grandfather worked at the location and he was quite familiar with the animals. 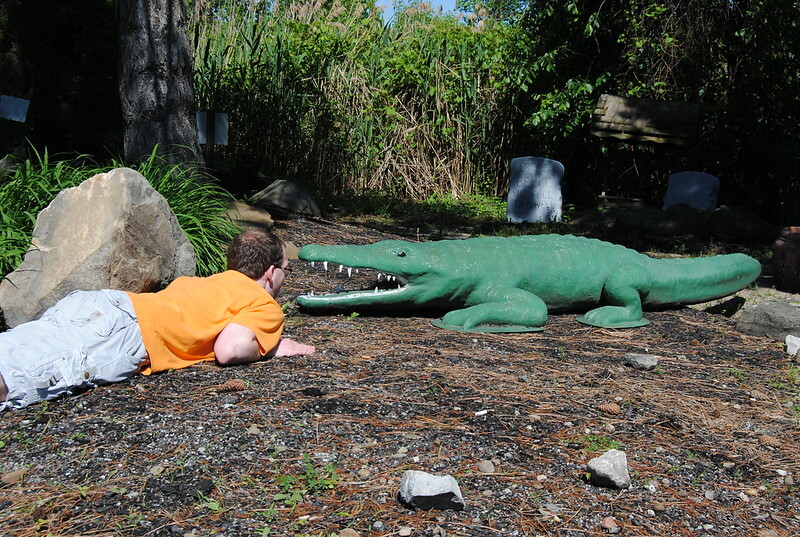 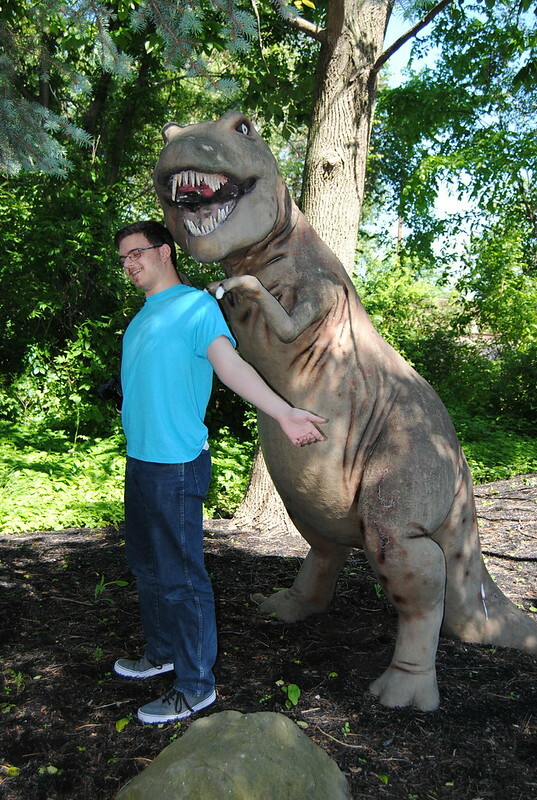 The Tyrannosaurus Rex gave Andrew a much-needed back massage. 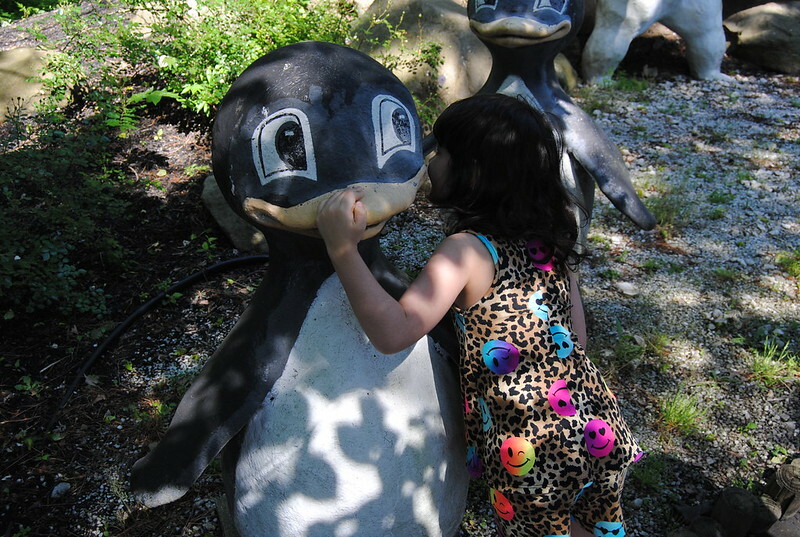 Krystal told some secrets to the penguins. 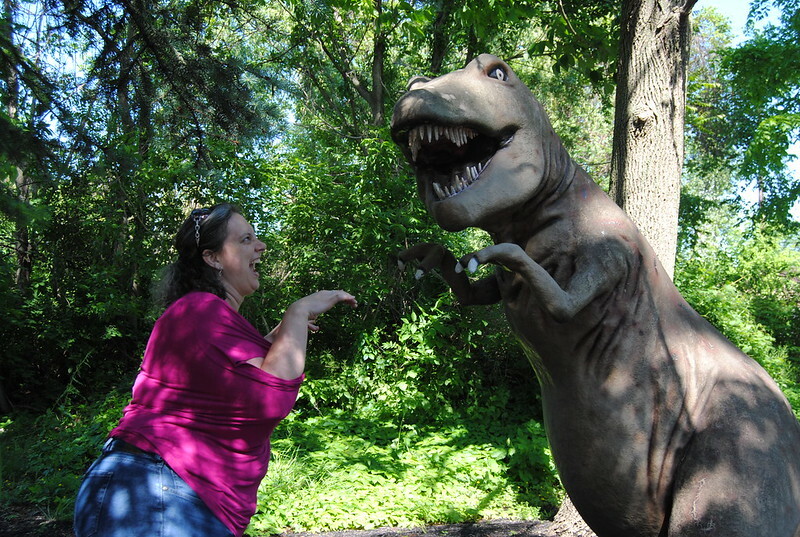 Katherine found a soulmate in the Tyrannosaurus Rex.